As a photographer our cameras are our workhouse and most of the time it works perfectly. But sometimes, when an error message appear on our Nikon DSLR digital camera LCD screen then it is no fun and it can actually get frustrating when it occurs. Almost all modern Nikon DSLR cameras such as Nikon D90, D80, D60, D40x, D40, D5000, D3000, D200, D300, D300s, D3, D3s and D3x display different kind or error messages. This can be really problematic – particularly if you are photographer and you have no idea on how to fix Nikon Camera error message. 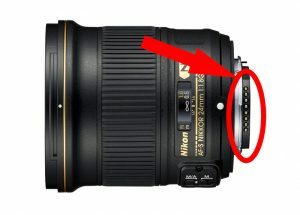 Well, you do not need to get worried about it as I have listed some of the Nikon Camera error codes and their fixes that you can do it by yourself. Blinking Err is one of the most occurring error messages that you might see on the Nikon camera – because it occur due to several number of problems. The most common reasons are the dust particles that lie between the lens and camera, so you have to simply clean the area carefully and check again. Another reason could be due camera startup problem. In this case, you can turn OFF the camera and remove the battery out of the camera and then re-insert it back and check again. If you are still seeing the same error message – then try another lens on the camera in order to identify which part of the camera is faulty. If another lens is working fine, then it is clear that the problem is still in the contacts on the lens creating the issue. In such situation you can visit the Nikon Service Centre. Blinking “fEE” error message get displayed only when you are using lenses with an aperture ring. It generally occurs with older lenses and the fEE error message appears if the ring isn’t set to minimum aperture size. To fix this, simply turn it back to this point – highlighted in orange color. If you are able to lock the aperture ring into its place, then you must do it – it will stop you thumping it out of the alignment again. Most of the time, this F Error message is limited to Nikon DLSR cameras. This particular error message appears when camera is not able to communicate with the lens. To fix F– error message, clean the contacts on the rear of the lens with the help of microfiber cloth and make sure that the lens is locked into its place. If problem still persists, then try different lens to identify whether the problem is in the lens or camera. If you are not able to fix it by yourself, then you can take your camera to service centre. Continuous (-E-) Message means that there is no memory card installed in the camera. But, if you are getting this error message even when you have inserted memory card in the camera – then your camera is not able to read the card properly. In order to fix no memory card error or continuous (-E-) message, turn off the camera and remove the card and clean it (particularly the metal parts that makes the connection with the camera). Now insert the card and turn ON the camera and see if this fixes the problem. Second, make sure that the card type you are using is compatible with your Nikon camera. Third, ensure that card is not full – if it is full with photos/videos and there is no space then transfer the photos and videos from the card to PC and delete them from the card. If you are still facing the same error message, then you must format your memory card. You can either format the card within the camera or on the PC. Note: Formatting memory card will erase all photos and videos from the card, hence, it is recommended that you must first backup all data of the card to PC and then format it. But in case if you have forgotten to keep backup and formatted the memory card then you can use Photo Recovery software to restore lost photos and videos from formatted memory card. Blinking “CHA/CHR” error message means that there is a problem with the memory card. It commonly occurs when you have copied the images from the card. However, it can be easily fixed by formatting the card within the camera. But if in case the problem is not solved and you are still having the issue, then it is possible that you have a problem with the contacts. Clean the contacts and check problem is solved or not – if not then send it to Nikon service centre. 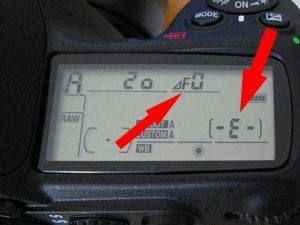 The “f–” or “f0” error code messages on the Nikon DSLR camera occur when lens is not placed into its place properly. To troubleshoot this error – simply unmount and remount the lens and make sure that it gets placed into its proper place. If you are using the older lens then you may get the error message again because it is possible that older lens may not have electronics contacts, hence, it can’t communicate with camera. This is particularly not the error message, but several numbers of photographers reported that their Nikon camera has stuck on r-number, not allowing them to shoot photo even when the shutter is fully pressed. The r-number could be anything like r36 or any other number. What it actually means – well, it shows that you can take remaining number of photo on the buffer and it appears when you half-press the shutter. But, why your camera is not able to take photo even when shutter is completely pressed? Well, there could be several reasons for this problem. By default your camera is set to focus on an image before taking the photos, so when you are taking photos in a very dark room or environment and your camera is not able to get proper focus then you will the r-number until gets stuck to something. Another reason behind the occurrence of this error message is that your camera has been set to self-timer and hence the r-number will get displayed until the timer is complete. There could be 3 reasons for a Nikon camera “information” icon error message (you will see “I” in a circle). First, battery might be discharged – so charge the battery. Second, memory card may be locked or full – to troubleshoot the problem, look for small toggle switch located just on the side of the card and just swipe it to the “unlocked” position. If your card is full, then move the files from the card to PC. Third, it is possible that your camera has spotted that one of the subjects of the photo blinked as and when you take a shot – showing you to take photo again. Cannot record movie error message occur when your Nikon DSLR camera is not able to transfer the data to the memory card as quick to record it. This error commonly occurs due to memory card – hence, you will require card that has faster read and write process speed. However this problem can also refer to camera – but you must first try different memory card. If your Nikon DSLR camera shutter release is jammed then you get shutter release error message. To fix this, you must check the shutter button and see if there is any object or any other sticky grime that might jamming the shutter button. If there is something that is jamming the shutter button, then clean the button and try again. Image cannot be deleted error message mostly occur when the image you are trying to delete is protected through the software in camera. To fix this issue – you have to first remove the protection from the image and then you can delete it. I hope by reading the above fixes, you are able to solve the problems or error message displayed by the Nikon DSLR camera. But do remember that different models of Nikon camera display different set of error messages that is listed above. 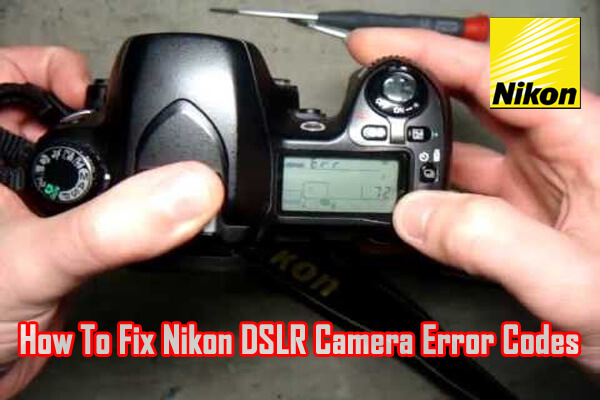 If your Nikon camera is displaying the error messages that are not listed here, then you can check the user manual guide that you have got along with the camera for a list of error messages for your model of camera. If above fixes does not help you to solve the issue, then you can carry your Nikon camera to Nikon Service Centre. Best of luck for troubleshooting Nikon DSLR camera error codes messages! 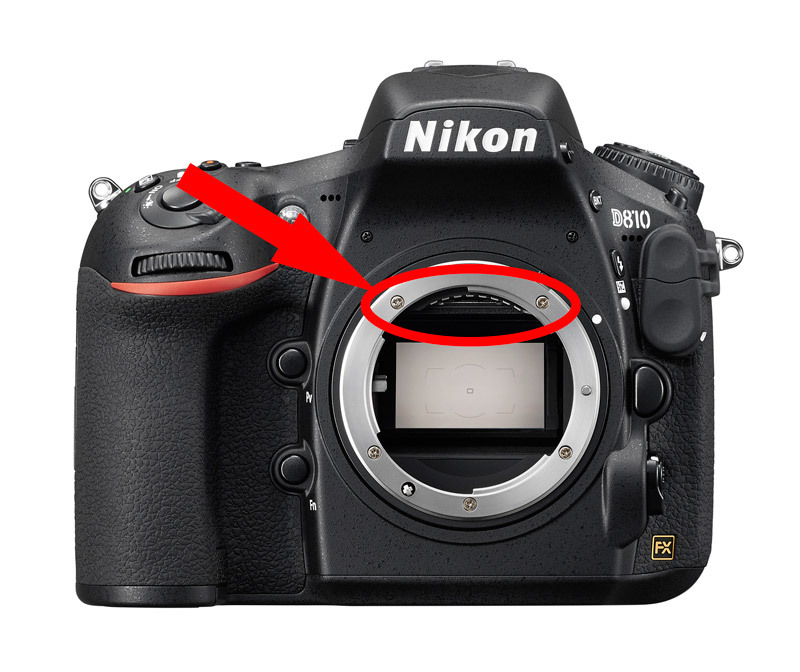 Learn about Nikon DSLR error codes and their fixes such as Blinking “Err”, Blinking “fEE”, Triangle with letter “F”, No Memory Card Error, Blinking “CHA/CHR”, “f0”, “f–”, Stuck on R-number and more.